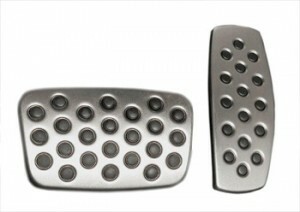 These brushed aluminum covers with raised rubber traction surfaces replace existing pedals to provide a sporty performance finish and feel to your interior. Whether you are working on your 2013 or your 1994 Buick Regal, you can be sure you are working on a vehicle which has stood the test of time. For this reason, there are hundreds of options for making your Buick Regal stand out from the others. All accessories and parts from GM-Car Parts.com are genuine GM OEM and will enhance the looks and the performance of your vehicle. Make sure that you are getting the right accessory for the right year by being sure to provide your VIN when placing your order. We will double check your order before it ships. Accidents can happen anytime on the highway, in any season and no matter how much you have prepared. Having an emergency kit is a imperative when it comes to protecting your family. Trust that you are prepared by ordering your GM highway emergency kit. 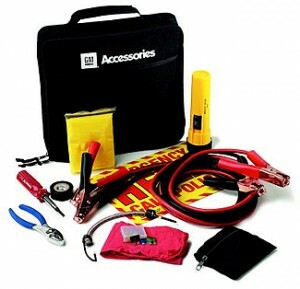 The GM Accessories emergency kit can help you get back on the road again, The kit includes: a first aid kit, PVC tape, cotton rag, fuse kit, bungee cord, cotton gloves, flashlight, rain poncho, screwdriver, booster cables, pliers and a Need Help banner. Show someone you care this holiday season with this highway emergency kit. Will work with most GM vehicles.